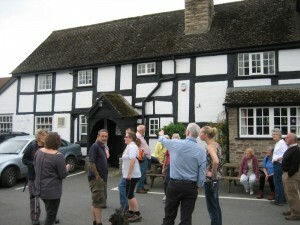 This entry was posted in Husband, Father, Dog Walker, Walking and tagged Eardisley, Eardisley Ramblers Group, footpath, Herefordshire, Map, maps, public footpath, rambling, Walking, Walks by RedEyedMonster. Bookmark the permalink. That steel stile step wunna rot mind. The steel style has now gone and has been replaced with a new kissing gate. Your site is very interetsing. have just done a walk from Wooton to Amilely, thats circular so you might like to try it? I tried to print off directions and maps and could not. But with your ‘Just Go for It’ style I might take a leave out of your book. I’m looking for circular walks around Eardisley and between there and Hereford. My group doesn’t want too far out re driving. Thanks for your comment, I will try the Woonton to Almeley walk & perhaps document it here.